Come along to an entertaining and uplifting evening at the Ondaatje Theatre, Royal Geographic Society, London, UK. 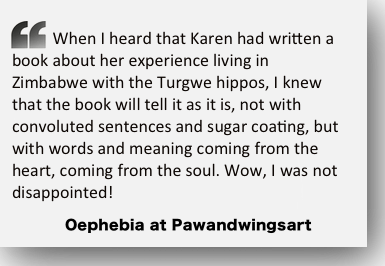 Hear directly from Karen Paolillo the inspiring story of how she lives with the Turgwe Hippos and has accumulated two and a half decades of intimate knowledge on their behaviour. 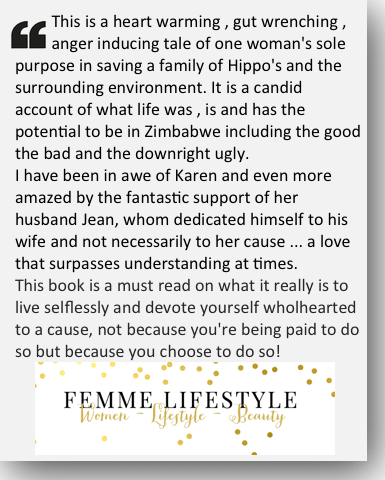 How she was the first person to feed hippos in their wild environment on a long term basis during a horrendous drought, and the total success it was to be. 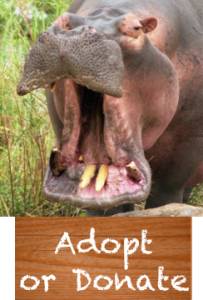 This led to the creation of the Turgwe Hippo Trust, a non- profit in Zimbabwe. 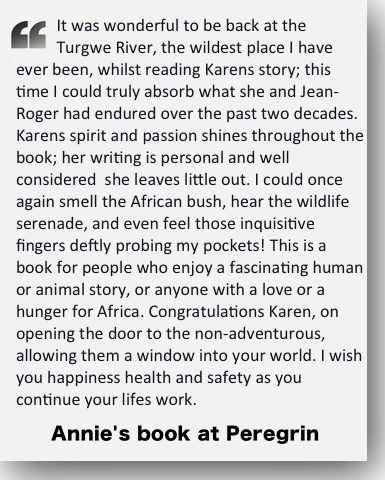 Karen has faced so many obstacles: from natural events like droughts and floods, to actually having her and her husband’s lives threatened by people intent on killing the wildlife in the area. 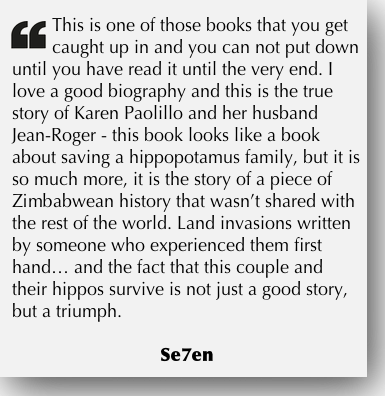 This would have included some, if not all, of the Turgwe Hippos. 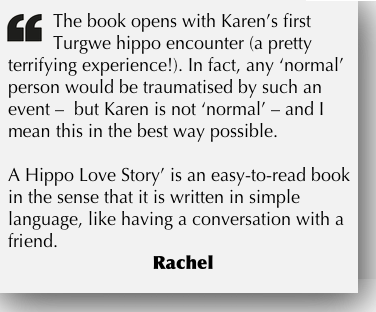 Karen’s book, A HIPPO LOVE STORY published by Penguin SA, tells this amazing story and will be on sale as a signed copy. 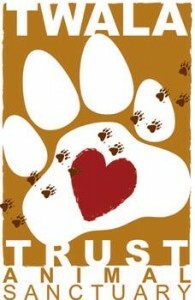 Suzie Marsh and Richard Symonds have kindly offered to help the Trust by bringing some of their amazing work. Oephebia will also have jewellery there as well. The doors will open at 5.45pm with a cash bar available, as well as the items for sale until the talk begins at 6.30pm. 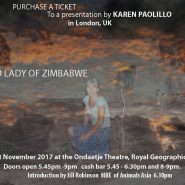 Karen is honoured to have Jill Robinson, MBE, of Animals Asia introducing her and then Karen will tell the hippos’ story, as well as show images of last years’ horrendous drought. Karen fed the hippos – 19 in total – and 200 other animals -including 25 elephants- for an entire year and not one animal died.